Okay, I just love Gone With the Wind AND Mr Rogers Neighborhood! 😀 “It’s Such a Good Feeling” is what I grew up hearing on the show. Anyway 😉 …I enjoyed this post. I love the last two lines. So true. NO!!! I was born and raised in Michigan! lol But my mother was born here in Georgia. There are TONS of cities, roads and the like with the name Peachtree in them here. Our favorite library is in Peachtree City – about 25 minutes from here! ha There are “O’Hara” roads, “Tara” boulevards, “Scarlet” lanes, and even “Rhett” drives, all in our town! We have a GWTW museum in here too (I don’t live in Atlanta, but rather, 10 miles south of the city). There is a Confederate cemetery where only soldiers are buried with unmarked graves. There are plantations from the early-mid 1800’s here that were used as hospitals during the Civil War. AND Margaret Mitchell based the GWTW “Tara” from her a relative’s plantation here in my town, that she visited in the summers as a child. Oooh, that is absolutely amazing! Thanks for sharing all of that with me. 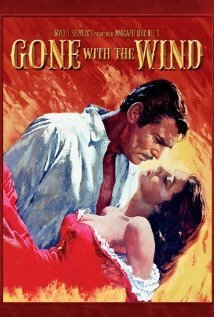 I really want to come and see the GWTW museum someday. I had no idea that it was still so big down there.